All the cyberkiddies are wearing 3D-printed 18th century military styles this season. They sew LEDs into strips of soft spikes, turn them into epaulets, and power them with their nuke batteries. 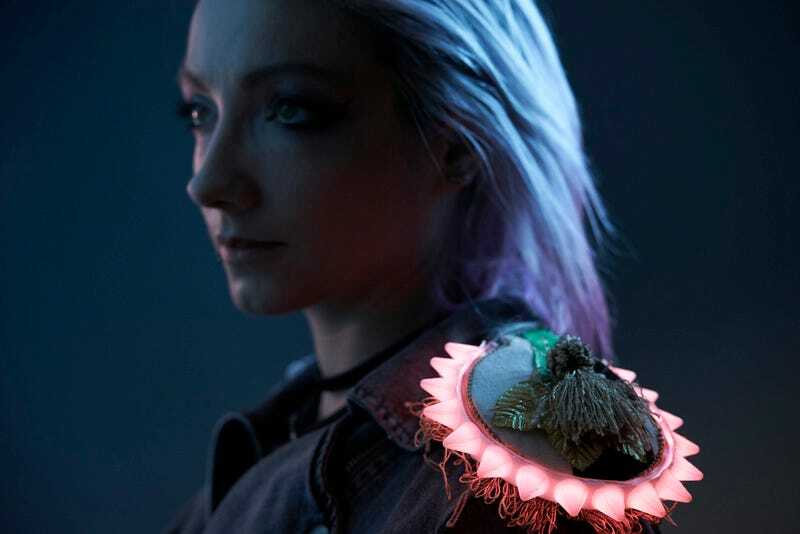 We love these 3D-printed cyberpunk spike fashion accessories created by Adafruit's Becky Stern. She's even created a video for you, below, to help you make your own. Read more about the project on Adafruit.